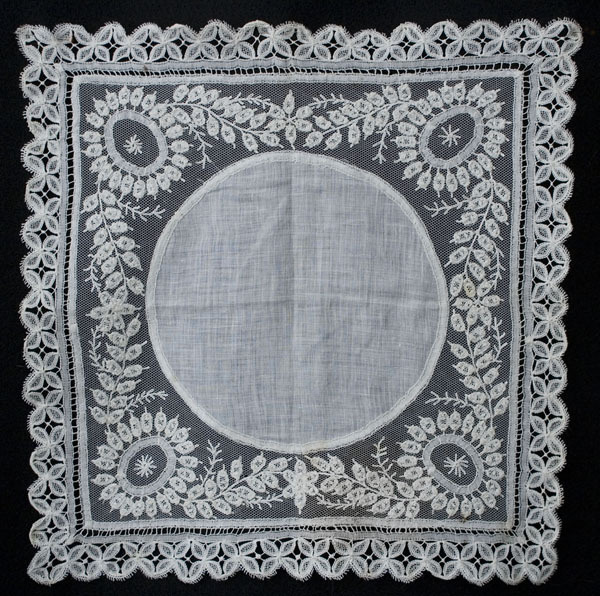 Antique handkerchiefs with fine handwork make thoughtful, one-of-a-kind gifts. This can be "something old" on a bride's special day. The superb ivory hankie is embellished with a wide border of handmade Honiton lace. 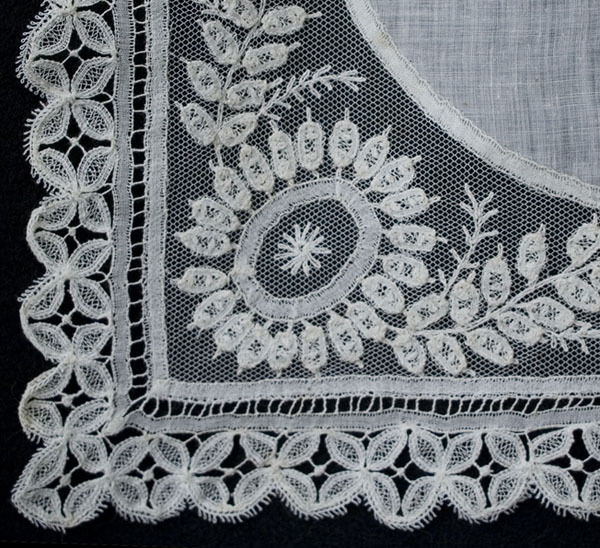 The inner portion of the border features Honiton motifs hand appliquéd onto a fine net ground. The center of the hankie is of sheer cotton batiste. Hankies vary in value depending on the abundance of handwork and the condition. 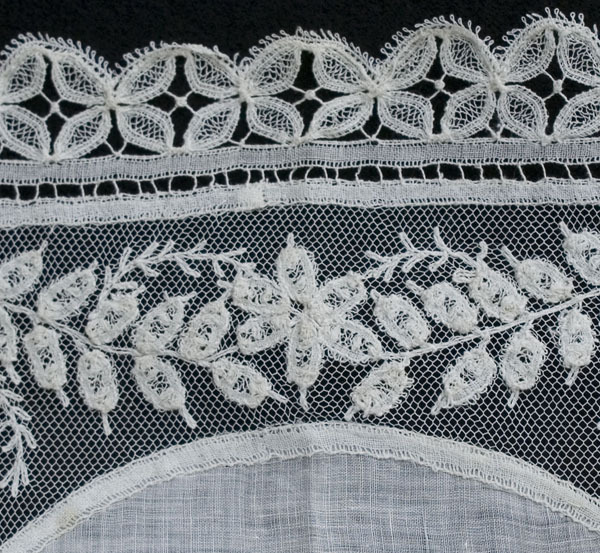 With the intricate border of fine Honiton lace, this is one of the better pieces. It measures 12 1/2" square.